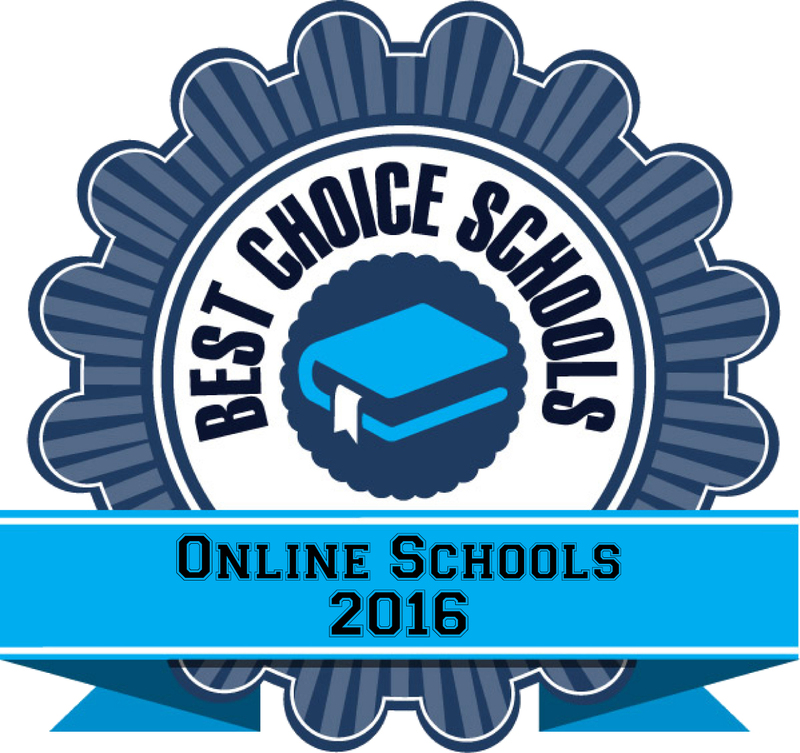 In this article, we highlight the 30 best schools for a master’s in special education online. The field of special education is expected to have employment growth at a rate faster than average according to the Council for Exceptional Children. In fact, according to the same source, many school districts are currently struggling to find qualified special education professionals with the proper certification and licensure to fill open positions. An online Master’s Degree in Special Education can give working professionals the qualifications and education needed to become more marketable in the workforce. An online Master’s program in Special Education provides the flexibility needed to return to school to earn an advanced degree and allow students to apply their skills in their current position or prepare for a promotion. We researched the top special education schools to compile a list of what we determined to be the best online schools for special education. We obtained our list of schools from College Navigator and consulted other top ranking lists including Edudemic, TheBestSchools, GetEducated, and Best College Reviews Online to ensure top schools were not omitted from our search. All schools in our list are accredited and are either public or private non-profit. We applied a points based system to develop our ranking below. Regent University offers a Master’s in Special Education online for those looking for either a license or non-license track program. The program for either option is 42 credit hours and can be completed in 18-24 months. With six start times throughout the year and courses offered in eight week sessions, students are able to enter and move through the program on their own timeline. US News and World Report included Regent University in its list of Best Online Programs for 2015. Regent faculty are both regionally and nationally recognized as leaders in the field of special education. Lamar University offers an online Special Education Master’s degree that can be completed in 18 months. Students are required to earn 36 credit hours (12 courses) and can substitute a thesis for six of those credits. The program offers a specialization in Autism for those working or interested in working with children on the Autism Spectrum. Students must pass a comprehensive examination prior to graduation to demonstrate their knowledge. Throughout the program, students are able to apply their knowledge through practical application to ensure they understand and can apply essential concepts. Students interested in an online Special Education degree utilizing a cohort system may be interested in The University of Texas at Tyler. The Master’s Degree in Special Education offers an Educational Diagnostician Certification which includes a practicum. Students have the opportunity to engage with professors and peers in both asynchronous and synchronous learning environments. Faculty have demonstrated expertise in the field with many involved in the Council for Exceptional Children. Students are able to transfer up to nine credit hours of graduate study toward their degree. The program has been ranked as offering a top online master’s in special education by both TheBestSchools and Get Educated. Indiana Wesleyan University offers a Master of Education-Special Education online degree for current practitioners interested in working with students who have mild to moderate disabilities. The program is 33 credit hours in length, which meets licensure requirements in some states. The program is accredited by NCATE and the curriculum aligns to professional standards in the field. Clinical experiences are required as part of this program, which are completed during specific courses. Emporia State University offers an online Master’s Program in Special Education with two concentrations available. The Adaptive concentration is ideal for those interested in working with children with mild to moderate disabilities in grades K-6 or 6-12. Students choosing this concentration complete a Master’s Project and provide a presentation. Students interested in the gifted concentration can complete either a thesis or a comprehensive exam. Emporia State University was included in the list of Best Online Programs by US News and World Report for 2015. Fort Hays is amongst the top special education schools offering a Master of Science in High-Incidence Special Education. Students at Fort Hays are able to complete the 36 credit hour program in just 18-24 months. There are no on-campus requirements for this program and students are able to complete coursework online through the latest technology in distance learning. Courses are offered on a rotating basis to allow students to plan out their course of study and select online courses during the semesters they are offered. The program is accredited by both KSDE and NCATE and coursework is aligned to meet the state standards for special education. Students looking for an online school for special education offering a variety of concentrations may be interested in Drexel University. With five different concentration options (Autism Spectrum Disorder, Collaborative Special Education Law and Process, Multi-sensory Reading Instruction, Technologies for Special Education, and a Customized option), students can make themselves more marketable to employers by providing a specific skill set. The program is available to current teachers on a part-time basis and can be completed in just under 50 credit hours. Drexel was named a 2010 winner of the Sloan-C Award for Excellence in Institution-Wide Online Education and the USDLA 21st Century Distance Learning Award. Concordia University in Portland is one of the best schools for special education for those interested in working with students with a wide range of disabilities. The program does not lead to licensure and is designed for teachers and other professionals in the field who seek specialization in the field of special education. Prior to graduation, students can elect to complete either a research project, a thesis, or a practitioner inquiry. The program can be completed in 30 credit hours of study. Courses are offered at both the elementary and secondary level, allowing students to select coursework at their existing licensure levels. St. Mary’s University of Minnesota offers three options for those seeking a Master’s Degree in Special Education. There are options available for students without a license, those already licensed, and those looking for an additional license. For those looking for an additional license, options include Emotional Behavior Disorders, Learning Disabilities and/or Autism Spectrum. The program places emphasis on the development of a quality IEP tailored to the needs of special education students. As a quality special education school, the program focuses on an inclusive teaching approach regardless of the disability through real world scenarios. Students in the program are provided with an iPad to engage with the mobile learning system. The University of Cincinnati offers an online Master’s Degree in Special Education. The program offers three different concentrations including Advanced Studies, Autism Spectrum Disorder, and Transition to Work. Students must complete 30 credit hours to complete the program. Courses are 14 weeks in duration and most students can graduate in two years or six semesters of study. Online students benefit from intensive support including a personal enrollment advisor to guide them through the program. This online degree program is endorsed by NCATE. The University of Missouri offers a 30 credit hour Online Master’s Degree in Early Childhood Special Education. The program is designed exclusively for practitioners working with students birth through age eight. While the program does not provide certification, it does provide a quality education for those needing additional education. Coursework in this program is based on evidence based practice which aligns with current legislation and educational theory. Students need to pass a comprehensive exam prior to graduation. The University of Missouri was included in the list of Best Online Programs by US News and World Report for 2015. Florida State University offers a Master’s degree in Special Education Studies appropriate for practitioners with a degree or certification in special education. Specialization areas include severe disabilities, early childhood education special education, or high incidence disabilities. The program can be completed by taking 33 credit hours of coursework and students may take six credit hours each semester. The program can be completed entirely online. This online program is accredited by SACS and the National Council for Accreditation of Teacher Education. The University of North Dakota offers an online Master’s degree in Special Education. Students are able to complete the program in approximately 18 months through asynchronous coursework. The program offers an extensive list of nine specializations to allow students to take a deep dive into their specific area of interest. Courses are also available for students interested in becoming Board Certified Behavior Analysts. Online students are offered the same low tuition rates whether they are in state or out of state. Students receive online tutoring, access to an online library, and technical support. Students interested in an online Master’s degree in Special Education for work with students birth through age 8 may be interested in the University of Nebraska at Lincoln. US News and World Report included the University in its list of Best Online Programs and Early Childhood Education Zone ranked the program in its list of the “Top 20 Online Masters in Special Education.” The program can be completed in 36 credit hours of study and follows the Guidelines for Personal Preparation and the principles of The Council for Exception Children. Stephen F. Austin State University offers a 36 credit hour Master’s Degree in Special Education with three different options available. Students can earn an EC-12 Special Education Certification, an M. Ed in Special Education, or an Educational Diagnostician Certification. Students who already have a teacher’s certification can earn their M. Ed in Special Education to expand their knowledge and professional skills. The Educational Diagnostician Certification option is for students interested in working with the school system to ensure services are in place and meet state laws for special education students. The program is NCATE accredited and is recognized by the Council for Exceptional Children. West Virginia University offers an online Special Education Master’s degree with or without certification. Students have the opportunity to engage in live, interactive, online learning sessions. The program offers six different specialization areas including Autism Spectrum Disorder, Early Childhood Special Education, Gifted Education, Low Vision/Blindness, Severe/Multiple Disabilities, and Multi Categorized Special Education. Students may begin the program in the fall, spring, or summer. The program is accredited by NCATE and West Virginia University is included in the list of Best Online Programs by US News and World Report. The University of Arizona offers three different options for students looking to earn their Master’s degree in Special Education. The programs are designed for those who already hold licensure and do not provide certification. There are three different programs to help advance the skills of the special education professional: Behavior Support, Deaf and Hard of Hearing, and Disabilities. Concentrations are available in Challenging Behavior, Autism Spectrum Disorder, Sensory Impairments, and Gifted Students. The program is diverse and can accommodate students working in both child and adult programs and education settings. The Master’s of Science in Education degree program from Old Dominion University is a 30 credit hour program following the Council for Exceptional Children Advanced Program standards. The program offers both synchronous and asynchronous courses and utilizes interactive online education technology. Students are prepared for the workforce or to continue on and earn their PhD in Special Education. Courses are research based and provide the latest information and techniques in the field. Texas Tech University offers an online Master of Education in Special Education with seven different concentration areas. Areas of concentration include Applied Behavior Analysis, Deaf Education, Educational Diagnostician, Generic Special Education, Orientation and Mobility, Transition and Visual Impairment. Some concentrations require teaching experience and certification. The program typically requires 36 credit hours to complete and most coursework can be completed entirely online. The Applied Behavior Analysis concentration offers the approved course sequence to become a certified Behavior Analyst. Students have the option to complete a thesis in lieu of six credit hours. Indiana University offers an online Special Education degree for those working with high incidence disabilities. Specialty tracks include Autism, Behavior Strategies, Early Childhood, Instructional Strategies, and Intense Interventions. Courses are focused on research and proven teaching methods. Students receive individualized attention by experienced faculty in the field of special education. Students in their final semester of study can elect to complete a capstone program or thesis. Adams State University offers a 30 credit hour Master’s degree in Curriculum and Instruction with a concentration in Special Education. While the program doesn’t lead to licensure, it provides a strong sequence of coursework to develop planning and teaching skills. Students can enter the program in the fall, spring, or summer semesters. Students can complete all of their coursework online through the Blackboard learning platform, which is user friendly and interactive. Prior to graduation, students complete a capstone project to showcase their learning. The University of Arkansas M.Ed. in Special Education is a 36 credit hour program that can be competed in approximately two years. Students can select from three different concentration areas including Special Education, Special Education with ABA Certification, or Special Education with ASD Certification. Students interested in Applied Behavior Analysis can complete the approved course sequence to earn their BACB. A practicum is required as part of the program and can be completed in the student’s home school district. The program is accredited by NCATE. The University of Arkansas was included in the list of Best Online Programs by US News and World Report for 2015. Michigan State University offers a Special Education online Master’s degree with endorsements available in Learning Disabilities or Autism Spectrum Disorder. Students seeking an endorsement need to have or obtain a teaching certificate. The program emphasizes the development of collaboration and consultation skills. Upon graduation, practitioners are prepared to work with students in grades kindergarten through high school. Students are able to complete the program in 18 months to three years depending on background. All courses are offered online. Kentucky State University offers an online degree in Special Education leading to certification in Learning and Behavior Disorders for students P-12. The program is available to those with and without a teaching degree and is designed to increase the pool of qualified special education professionals. Coursework is provided in an accelerated format with two-eight week sessions offered each semester. Students are required to complete 200 hours of field experience and must complete a practicum or student teaching. Throughout the program, students receive support by having access at all times to course content, instructors, and colleagues through an online learning platform. The Master of Science in Education with a Concentration in Special Education is a program designed for the career educator. Students develop skills and strategies needed to achieve leadership positions in the field of special education. The program builds upon the Education Specialist Preliminary and Clear Credential Program by offering a more in-depth approach to curriculum design and areas like adaptive technology. Students benefit from personalized interaction with faculty and staff to help guide them through the program. Graceland University offers a cohort based Master of Education in Special Education online. The program has been newly revised, with changes taking effect January 2016. The curriculum focuses on behavior management, assistive technology, and transitional programming, with an emphasis on Autism Spectrum Disorder. Most students are able to complete this program in two years of study. Online students benefit from a collaborative approach to online learning, with the opportunity to engage with peers and faculty on a regular basis. Western Carolina University offers both an M.A.T. and M.Ed. online program is Special Education. The M.A.T. degree option is for students with a degree in an area other than Special Education. Students have the opportunity to earn their degree and licensure simultaneously through this program. Concentrations are available in General Curriculum or Adaptive Curriculum. The M.Ed. program is for students who already hold a degree in education and an “A” level license. These students have emphasis areas available in Gifted Education, Mild to Moderate Disabilities, or Severe/Profound Disabilities. The M.A.T. program can be completed in 42 credit hours and the M.Ed. can be completed in just 30-33 credit hours. Ball State University offers an M.A. degree in Special Education than can be earned in as little as 18 months. Students can select an online concentration in autism, applied behavior analysis, or director of exceptional needs. The applied behavior analysis concentration offers the approved course sequence for the BACB. All concentrations are offered in an accelerated format. Courses are 16 weeks in duration, with shorter courses offered during the summer semester. This program is recognized by the Council for Exceptional Children. 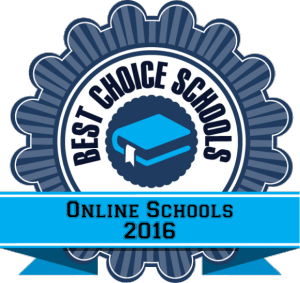 This concludes our ranking of the 30 Best Schools for a Master’s in Special Education Degree Online. How Much do Special Education Teachers Earn?